But don't worry, it makes your hurty head feel better. 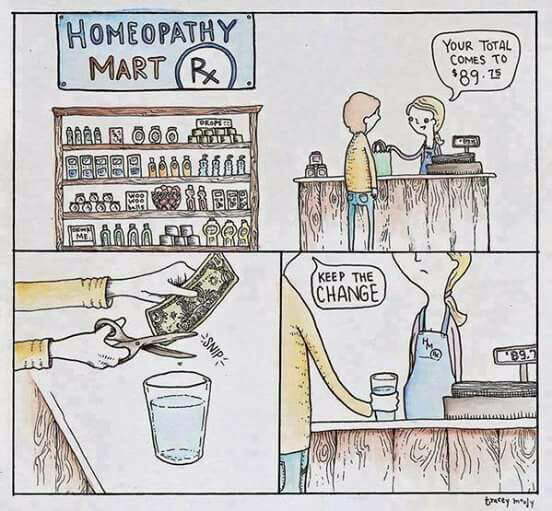 Various homeopathy experts explain what it is. You are clearly obsessed. Get help! Care to comment on any of the articles I've posted, or are you just going to insult me some more? Elessar wrote: Well, I'm sold. I can see how the average person would find her so believable, since the average person is less likely to be schooled in physics would go along with her accepting that she knows what she's talking about. More or less thinking "ok, if you say so, because I have no clue". Two things stand out. On topic, assuming her chain of thought is right, what on earth would lead her to believe that whatever is in her little magic "pellet", contains the energy the patient needs? She did not specify what that was in her re-telling of that man's problem. The other thing that stood out to me, which is entirely off topic, was that her explanation of mass and energy gave me with words I needed to answer (I think JLP's) question to me of what I thought God (The one I attribute creation to) looked like or was. I answered negative on any visual ideas. The Creator is energy. Controlled energy. This placebo effect reminds me of some notions I've read that Vitamin B12 in supplement form is a waste of money. My labs were testing insufficient B12 and received injections for some years until Medicaid made getting them complicated and I went to OTC sublingual that eventually failed to help. At this time with a different Dr. I am back to getting injections. I don't believe it's a placebo effect that I can tell the difference. Are supplements considered Homeopathic even when prescribed by an MD? I don't know what all falls under the range of homeopathic. http://www.guardian.co.uk/science/the-l ... 2/apr/17/1, by the way, made my head spin until my eyes glazed over. That isn't a bit like what I thought it was.